We live in the present, we dream of the future and we learn eternal truths from the past. I am deeply moved when I think of the teachings of Jesus Christ that we should do unto others as we would have them do unto us and love our enemies. My fellow countrymen know that “Remember not evil against others” and “Do good to all men” have been the highest virtues taught by our own sages. We have always said that the violent militarism of Japan is our enemy, not the people of Japan. Although the armed forces of the enemy have been defeated and must be made to observe strictly all the terms of surrender, yet we should not for a moment think of revenge or heap abuses upon the innocent people of Japan. We can only pity them because they have been so sadly deceived and misled, and hope that they will break away from the wrong-doing and crimes of their nation. Let all our fellow citizens, soldiers and civilians remember this. Continuing with this ongoing idea of re-examining history’s woes in search of truth, February 28th unfortunately marks a dark and dreadful day for the Taiwanese people. On this very day sixty-six years ago, a disagreement between rogue parties—in the midst of a major transition of political power from the Japanese to the Kuomintang—gradually erupts into full-scale revolution across the island, culminating in the KMT’s infamous White Terror period of martial law, interrogation and imprisonment of thousands. While I am aware many people today may form differing opinions on who or what is to blame for the actual 228 Incident, I do not intend to go into much detail on the events leading up to the uprisings. Preserved historical records can dictate exactly what happened but will do no justice as to blaming one party completely without giving all participants an equal voice in the matter. I will draw a slight parallel, however, between this Incident and that of the 1905 Bloody Sunday incident in former Tsarist Russia where thousands of peaceful demonstrators and spectators met heavy gunfire and the sabers of the Imperial Guard outside the gates of the Winter Palace. An old man named Lavrentiev, who was carrying the Tsar’s portrait, had been one of the first victims. Another old man caught the portrait as it fell from his hands and carried it till he too was killed by the next volley. With his last gasp the old man said “I may die, but I will see the Tsar”. At last the firing ceased. I stood up with a few others who remained uninjured and looked down at the bodies that lay prostrate around me. Horror crept into my heart. The thought flashed through my mind, “And this is the work of our Little Father, the Tsar”. Perhaps the anger saved me, for now I knew in very truth that a new chapter was opened in the book of history of our people. As the demonstrators in Russia pleaded for greater social and economic reforms from their beloved Tsar Nicholas II, so too did the initial crowd of people in Taipei on that one day as well. Despite all of the tragedies that may have occurred, the survivors are here today to stand and honor the deceased while simultaneously moving forward to build a better future for all Chinese, Taiwanese, and even Okinawans. Many Okinawans whose ancestors had once lived on Heping Island also attended the ceremony — among them was Shiosei Yashumoto, whose great-uncle, Chouzou Uchima, lived on Heping Island from 1905 to 1945, and was the model for the fisherman statue. The district head, Ding Ming-Nan, was the nephew of the then Administrator of Taiwan, Chen Yi. He had always taken good care of the people in his district; spent his own money to buy text books and story books for the local kids. The residents in the district revered him. When the 228 Incident broke out, the young people took to protect him. They promised him safety if he did not leave his residence. When the 21st Division arrived, he was very worried because he heard the soldiers started shooting people as soon as they landed. He asked the young troop members to give up their weapons and promised their safety. But they were in a high state of agitation and thought he was threatening them because of the imminent arrival of government troops. They raised their guns, switched off the safety, and were going to shoot him on the spot. These people who had undergone Japanese military training were moved by his words. Calling him an enemy worthy of respect, they let him go. Later, Ding Ming-Nan kept his promise. When the army arrived, he assured them that there had been no conflict in the Tsenwen district, and they should move on. The locals suffered no casualty and were grateful to him. ~ An excerpt from Chen Yi (陳儀)’s Nephew Ding Ming-Nan (丁名楠) Saved the Tsenwen (曾文) District. Since 1995, 228 has been widely discussed with the Taiwanese public, and, beginning with Lee Teng-hui, public commemorations and apologies to surviving members and descendants of people who have experienced the events of the White Terror era firsthand are initiated on an annual basis. I acknowledge that Taiwan and its people have been through much strife in the past, and I too would like to humbly step forward and apologize—on behalf of the country of my forefathers and mothers, on behalf of the President’s namesake, and on behalf of the Kuomintang (Nationalist) Party. May we all learn to forgive the wrongdoings of the past, and forgive the people involved in such incidents. On an unrelated but very optimistic note, I heartily congratulate and commend filmmaker Ang Lee for his Oscar nomination for Best Director for the film Life of Pi! Ilha Formosa…In Memoriam of 228. We will never forget. BACK IN NOVEMBER 2011, I wrote a long column titled Showing Gratitude and Rededication (and Returning to the Church) in which I have first presented only an inkling of the pros and cons of church religious experiences I have personally encountered growing up, and that of what my family has encountered. But in that particular column, I did not have the bare guts to fully express what 20 years of “growing up Christian” really looked like through my pair of eyes. For a long time—and I must admit, it’s been far too long—I too was caught up in trying to fit in, trying to assimilate into what I have always pictured to be the ideal church community. And what was that picture you may ask? In all honest retrospect, it would probably look like something out of a Sunday School lesson: Jesus is the great man-Savior who came to planet Earth to act as the substitute for humanity’s utter faults (our sins), and that if we accept his atonement, we will be granted eternal life through this one demi-god figure. In addition, Jesus sent the Holy Spirit to act as the divine counselor and protector in the modern world today. I did not intend to solely make such a statement because I was merely angry about the fundamental creed, which I have described above. No, I do not hate Jesus or God the Father or the Holy Trinity. I hate the narrow-minded structure of human-made and human-operated churches. What I hated was the judging and the criticizing and the “holier-than-thou” self-righteousness stance other members tried to impose on my family over the years as we hopped around various churches, and as I gradually became aware of this great flaw in the system, I also made up my mind. Enough was enough. If anyone in my family, my beautifully fractured family was to be treated this way, I will not have it or stand it any longer. So I vowed to leave these churches—eventually culminating into an idea that encompassed all churches—never to set foot in any of them ever again. My initial “hatred” of these so-called institutions did not settle too well with many of my practicing Christian high school classmates and friends, teachers, and eventually even my own parents, whom I have believed as a younger teen that I was defending their honor in “desecrating” and exposing the criticisms of the very people who have hurt them. That is, until I realized I had become the very hypocrite I believed I was on a destined mission to topple and defeat. As Siddhartha Guatama had once awakened his own inner Buddha, I have been continuously re-examining my own views of the Christianity I once literally grew up with versus a Christianity that the rest of the known world observes from an outsider’s perspective. And now as a college sophomore, I can most assuredly say I will continue to accept that fundamental creed that Jesus is Lord of all humankind while alternatively rejecting and reforming other “creeds” political conservatives have been preaching to the masses since only God knows when, and brainwashing them into accepting their way of thinking and their way of life. First of all, I clearly do not believe Jesus advocated the right for the average person to freely carry firearms in the public square as he or she pleases. Nor do I accept that Jesus stood for any particular social class or ethnic group. Jesus did not stand for any particular political party or social issue, other than helping the poor, needy and downtrodden. As illustrated in the famous Good Samaritan parable or The Samaritan Woman at the Well, Christ wants all to come to him in awe, reverence and humbleness. And he who ever takes up his cross and follows him will gain eternal life. This gift of a spiritual ever-lasting salvation is available to ALL PEOPLE, regardless of ethnicity, gender, religion, disability or sexual orientation. And yes, I will clearly advocate right here and right now that Jesus loves homosexuals as much as heterosexuals, regardless of whatever the Christian Right loudly screams in your ears. I may attempt to cover various Christian and non-Christian views on homosexuality and “the church” in further investigative detail in a later column. But for now I would like to say, through my experiences as a believer looking from within and outside the box that represents the broad spectrum of modern American Christianity in the 21st century, I can now say and believe with the utmost confidence that God Almighty does indeed unconditionally love every person on this planet, including those souls in the afterlife, and like that Jay Park single, He seriously wants to know your name. He respects all your opinions and beliefs, and will not hold fast to your will or your decision-making. Only let thy Kingdom come and thy will be done, on Earth as in Heaven. SIX NIGHTS AGO, I had a conversation with Neil MacIntosh—a Facebook friend I have thankfully gotten to know through another Joshua Chen living in North Carolina—that first started from a thread of comments about a pristine photograph he took of Niagara Falls but over the course of the following day, eventually somehow diverted to current political issues such as gun control and reviewing the actions of past tyrannical dictators, namely Hitler and Mao Zedong. Interestingly enough, I believe we have gotten to know each other just a little bit more as he shared with me his love and passion of history (a History major at American University in our nation’s capital Washington, D.C.) and I my love of history, psychology and journalism (I’m a current Psychology major at Ohlone College in California). From the moment we began discussing our family backgrounds and relations, I knew we would hit it right off—and hit it off we sure did! I have a quick confession to make here to all my readers and friends: I love history and I sure do love my country and my heritage. As I may have once briefly mentioned in a previous column, I am culturally and ethically American Taiwanese—but frankly, I find that label to be a huge misnomer. Taiwan is not officially a sovereign nation recognized by the international community, even though our government does function independently from Beijing’s government in mainland China. 1. Has space or territory that has internationally recognized boundaries (boundary disputes are OK). Somewhat. Due to political pressure from mainland China, the United States and most other significant nations recognize one China and thus include the boundaries of Taiwan as being part of the boundaries of China. 2. Has people who live there on an ongoing basis. Absolutely! Taiwan is home to almost 23 million people, making it the 48th largest “country” in the world, with a population slightly smaller than North Korea but larger than Romania. 3. Has economic activity and an organized economy. A country regulates foreign and domestic trade and issues money. Absolutely! Taiwan is an economic powerhouse – it’s one of the four economic tigers of Southeast Asia. Its GDP per capita is among the top 30 of the world. Taiwan has its own currency, the new Taiwan dollar. 4. Has the power of social engineering, such as education. Absolutely! Education is compulsory and Taiwan has more than 150 institutions of higher learning. Taiwan is home to the Palace Museum, which houses over 650,000 pieces of Chinese bronze, jade, calligraphy, painting, and porcelain. 5. Has a transportation system for moving goods and people. Absolutely! Taiwan has an extensive internal and external transportation network that consists of roads, highways, pipelines, railroads, airports, and sea ports. Taiwan can ship goods, there’s no question about that! 6. Has a government that provides public services and police power. Absolutely! Taiwan has multiple branches of military – Army, Navy (including Marine Corps), Air Force, Coast Guard Administration, Armed Forces Reserve Command, Combined Service Forces Command, and Armed Forces Police Command. There are almost 400,000 active duty members of the military and the country spends about 15-16% of its budget on defense. Taiwan’s main threat is from mainland China, which has approved an anti-secession law that allows a military attack on Taiwan to prevent the island from seeking independence. Additionally, the United States sells Taiwan military equipment and may defend Taiwan under the Taiwan Relations Act. 7. Has sovereignty. No other State should have power over the country’s territory. Mostly. While Taiwan has maintained its own control over the island from Taipei since 1949, China still claims to have control over Taiwan. 8. Has external recognition. A country has been “voted into the club” by other countries. Somewhat. Since China claims Taiwan as its province, the international community does not want to contradict China on this matter. Thus, Taiwan is not a member of the United Nations. Plus, only 25 countries (as of early 2007) recognize Taiwan as an independent country and they recognize it as the “only” China. Due to this political pressure from China, Taiwan does not maintain an embassy in the United States and the United States (among most other countries) has not recognized Taiwan since January 1, 1979. However, many countries have set up unofficial organizations to carry out commercial and other relations with Taiwan. Taiwan is represented in 122 countries unofficially. Taiwan maintains contact with the United States through two through an unofficial instrumentalities – American Institute in Taiwan and the Taipei Economic and Cultural Representative Office. In addition, Taiwan issues globally recognized passports that allow its citizens to travel internationally. Taiwan also is a member of the International Olympic Committee and this sends its own team to the Olympic Games. Recently, Taiwan has lobbied strongly for admission into international organizations such as the United Nations, which mainland China opposes. Therefore, Taiwan only meets five of the eight criteria fully. Another three criteria are met in some respects due to mainland China’s stance on the issue. In conclusion, despite the controversy surrounding the island of Taiwan, its status should be considered as a de facto independent country of the world. 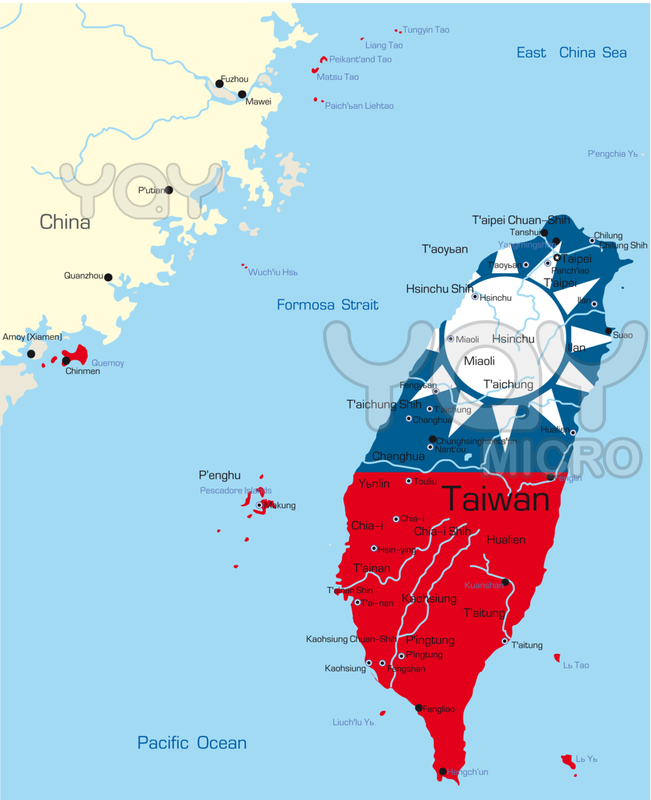 The Republic of China, which now maintains control over the island of Taiwan and several smaller archipelagos, has officially been considered a de-facto government since the 1970s when most of the world’s nations began recognizing the People’s Republic of China (PRC) government based on the mainland. Taiwan’s political status has also been miserably reduced to being called “Chinese Taipei” when represented in more recent Olympic Games, evidently pointing to mounting political tensions from mainland China who wishes to unify the island under the PRC banner. As a prideful and patriotic American Taiwanese, I too am appalled by the Chinese Taipei label—and while I do subscribe to the idea of eventual Chinese reunification, I wholeheartedly believe the Kuomintang government should still represent the “legitimate China” and be welcomed back to the mainland with open arms. But maybe I’m getting ahead of myself here. I do not intend to solely document and reflect on the Chinese Civil War in this particular column, although that time period is just one of the many examples in world history where wars have continuously shaped our lifestyles. Going back to my conversation with Neil, we evidently would start baring a part of our family heritages as we dived back into forgotten memories of WWII—I bringing up the Japanese occupation of China and the Nanjing Massacre at several points. Neil: I don’t know, I guess it’s strange to me to put so much emphasis on historical feuds. Josh: Cause it’s not just a book my friend. Real people were affected by these events. Neil: I’m aware; and there were some awful things that were done to my ancestors, as well. Josh: …Which of course leaves many descendants angry about the past. Josh: Yes, it is cultural. Neil: I view it as like something that happened several generations ago and didn’t involve me; and that I shouldn’t blame the descendents of the people who did it, because they’re just as innocent and uninvolved as I am. But I realise that other cultures have a different approach to it. Like I’m always a little surprised that the Germans are still apologising for WWII and the Holocaust. Josh: My dad has taught me this Neil: If the Germans can apologize for Hitler’s regime, then so can the Japanese. Josh: The Japanese should. Their country’s leaders. Neil: However, I also think that if the French and the Danish and the Polish can get over it and forgive the Germans, then the Chinese and Koreans can forgive the Japanese. Yes, the Japanese need to apologise, but then the people they hurt need to forgive it and move on, in my opinion, anyway. But also, part of it is pride for the Japanese. The Americans completely humiliated them after the war. So they’re trying to hold onto whatever pride they can salvage. It is at this point that I realize that I cannot continue rebutting Neil because I have to acknowledge he does have a point. We Chinese have to take that initial step forward and start the process of forgiveness, no matter how heavy our hearts feel or how much pride we devote to our people and our culture. The same goes for the Japanese as well. It’s not that I hate HATE the Japanese. I hate what they did. I don’t hate the country or the people—except those individuals involved in the actual brutality. I only hate what the Japanese have done in the past, but I am also equally hoping they will also be willing to come forward and apologize as much as we would want to. 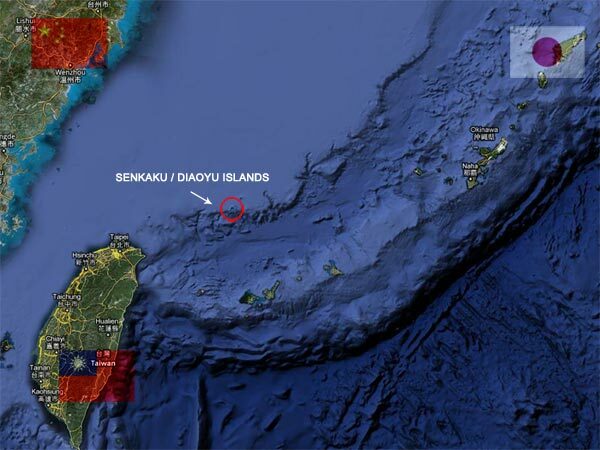 Leading up to more current events, this WWII-era pain is once again revealed in the recent animosity and dispute of the Senkaku/Diaoyu Islands as people on both sides of the Pacific Ocean I believe are preparing for what may appear to be another direct confrontation between our nations and peoples. Concurrently over here on the American front, we sadly mark the one-month anniversary of the Newtown shooting, which has also sparked controversy over gun usage and politicians in Washington fiercely debating our country’s current gun control laws. While I can mutually respect people who believe they have a Constitutional right to personally bear firearms, I cannot and will not acknowledge the alleged creed that pro-gun activists swear to abide by—the right to bear arms for self-defense. That is pure NRA propaganda. – The number of Americans who have been killed by guns since the Sandy Hook shooting. Number of tyrannical governments overthrown by gun-toting Americans in that same time period: zero. It’s bad enough that the tragedy at Newtown has once again divided the country. This time around, it has reawakened all of us to the grim reality that everyone is affected when there is a shooting—not just the victims themselves or even their families, but also the survivors and everyone from Capitol Hill to Beverly Hills to Telegraph Avenue. Harry nodded and sighed. Leaving this place would not be nearly as hard as walking into the forest had been, but it was warm and light and peaceful here, and he knew that he was heading back to pain and the fear of more loss. He stood up, and Dumbledore did the same, and they looked for a long moment into each other’s faces. I’ve seen the Deathly Hallows Part II film several times already and I am still moved by Dumbledore’s words in this one scene—when Harry’s soul crosses into Limbo or Heaven and it is here that Harry converses with his beloved headmaster and mentor. In fact, this scene has inspired me to spiritually communicate with family members and friends who I’ve once known here on Earth who have also passed on, and like Harry, I know the dead are not really gone but are always with me residing in spirit. And it is here that we are to mend the wounds of the past—hopefully, once and for all. For if we do not admit that each of us once made mistakes in our own lives and that each of us has experienced our own share of shortcomings in life—luck or no luck, hard work or no hard work, God or no God—then who will? Forgive me if I am leaving you with some very hard-hitting questions tonight my fellow readers, but let us all pray that the world will get better and that the human spirit will never extinguish, no matter how many atrocities afflict us and no matter how many barriers we have to overcome in order to get there. Forgiveness towards one’s enemies is hard but doable—reconciliation with one’s past harder but achievable still. I salute you my fellow compatriots and friends. Always remember to keep the faith. 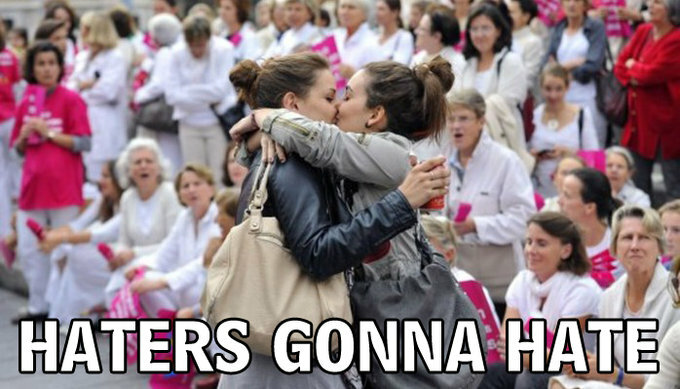 Never lose hope in humanity, ever. I agree with you that the past should be forgiven. But that doesn’t mean it should be forgotten so the same mistake won’t happen again. Neither should history be denied. Just like you, I want to be with friends with people from different backgrounds. Sure I’ve met some “bad apples” in particular groups of people, but if you think about it, there are even worse people in my own group of people as well (and same goes for every background). I’m not going to judge an individual because a group of people are rotten tomatoes. “TIME HEALS ALL WOUNDS”, an old adage reads. But its universal message of mutual forgiveness and putting one’s differences aside for the greater good—however idealistic that may sound—has once again come to another stalemate. Over the summer, tensions have once again been brewing in East Asia as three nations—China (the People’s Republic), Taiwan (the Republic of China) and Japan—go head-to-head—quite literally, I might add—over the possession of a small chain of islands known as Senkaku (尖閣諸島) to the Japanese and Diaoyutai (釣魚台) to the Chinese on both sides of the Taiwan Strait. The islands’ location is right smack-dab in between Okinawa Prefecture and Taiwan, which should explain a lot in itself, for those of us interested in studying East Asian affairs. The ongoing rivalry, as I have been reading the latest headlines for the past month, first started over noticing potential oil and mineral deposits found underneath and around the islands as well as commercial fishing vessels of all three nations wanting to have the autonomy to fish there. 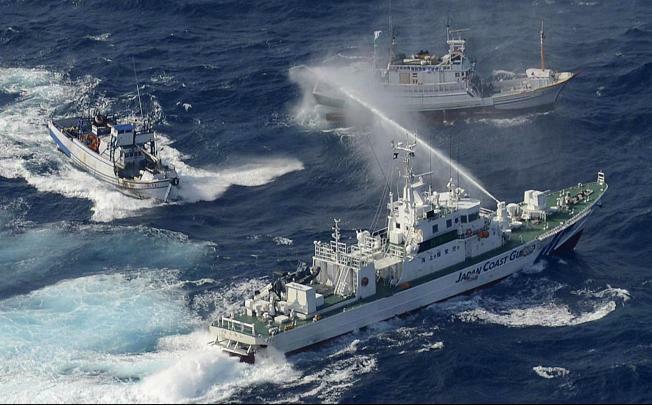 American, Chinese and other international websites alike have been reporting news on the occasional Taiwanese or mainland Chinese fishing boats being sprayed at and publicly “denounced” by the Japanese Coast Guard over the past two months. And at this point in time, both sides have yet to come to a well, thought-out and genuine compromise. To the best of my knowledge, a lot of social networkers have been continuously posting derogatory remarks towards either party on sites like YouTube, Facebook and ChinaSmack—several who want to instill nationalistic pride towards their own respective country by claiming either side is displaying a fierce warmonger stance or the likes of it. Now, I do not mean to belittle anyone but I am proud to be an American Taiwanese. When I first read news reports of Japanese Coast Guard vessels attempting to shoo away Taiwanese ships near the islands I will be honest: I did start tensing up a bit in a fit of inner rage. But as international headlines continue to document the growing anti-Chinese and anti-Japanese sentiment in the region since August and September—with numerous protests erupting in mainland China, targeting Japanese car manufacturing companies and thousands of Chinese chanting “The Diaoyu Islands are Ours!”—across the sea in Japan, many fervent Japanese are also taking to the streets booing China’s Communist government and allegations of internal political strife as Premier Hu Jintao is currently stepping down from office. In the context of the times, although I am proud to proclaim I am ethnically Chinese and nationally American, the growing sentiment that is currently taking place half way around the world gave me some time to reflect on the potential possibilities of actually talking to some Japanese Americans in open dialogue about the issues at hand. See how they view the whole ordeal. Lo and behold, I have had the wonderful opportunity to do so in the past few days this week. Among the handful I have managed to briefly talk to though, most of their responses usually were something along the lines of, “It’s a sensitive issue so I sort of feel uncomfortable to really talk about it.” Which I, deep down, can totally understand. Add historical tensions into the current dispute, with many claiming the Japanese not having fully pardoned their imperialistic intentions during the Second World War… well, it just adds dissent on top of an even larger and wider ongoing dissent spanning eight decades of history. Whether friend, foe, or neither, my Japanese acquaintances advise me to look not so much into the past in order to recall where our disputes between our two countries and peoples started from, but to look to a future of peace and hope. And frankly, I can’t really disagree with them solely on that point either. Coincidentally, I decided to compose this column today in honor of the 101st anniversary of the Wuchang Upising, an event commemorated by both Chinas across the Taiwan Strait. It was on this very day one hundred and one years ago, discontent lit the spark that would eventually culminate in a series of events that would lead to the successful overthrow of the Qing dynasty, and thus, the Republic of China was founded upon the ashes of the former imperial government. Even sixty-seven years after the end of World War II, our once erstwhile adversary is now a friend to Taiwan (for the most part). 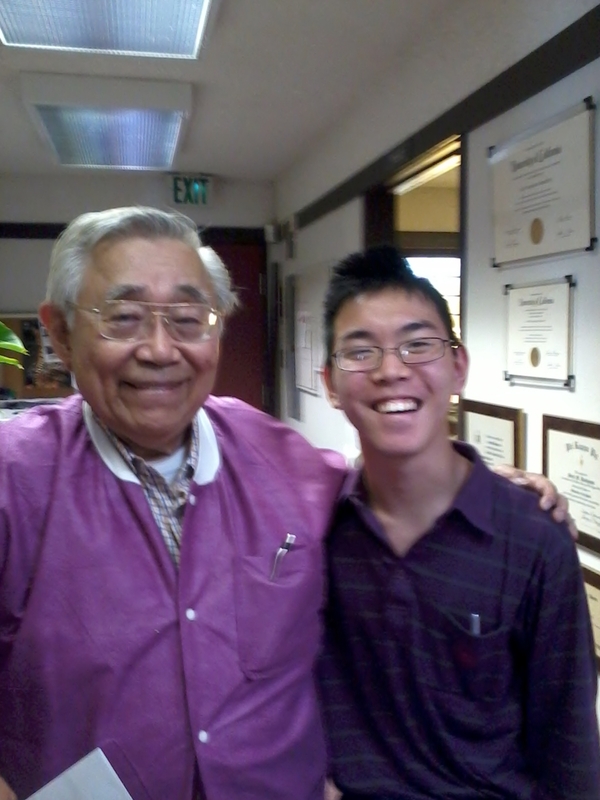 While meeting my new dentist on Monday, Dr. Walter Hashimoto cheerfully exclaimed that the Taiwanese love Japan as I politely nodded my head. But I think I got through to the old man’s heart when I mentioned the late Generalissimo Chiang Kai-Shek’s name, since Chiang apparently is still respected in Japan, especially among the older generation. Hashimoto replies with a broad smile on his face, “We [Japanese] call him Shō Kaiseki (蒋介石)” as I’m pretty sure Walter starts to notice the glow on my face as well. I have come to the conclusion that the main difference between Conservatives and Liberals is how much fear we decide we are going to live in. Liberals don’t normally hoard guns and ammo, because we aren’t afraid of the world. We all live in the same world, and there are bad things out there to be afraid of. Liberals have just decided that fear is not the thing we are going to focus on and we aren’t going to allow it to control our lives. I’m beginning to think that this applies to all sorts of issues as well. I heard two conservative (white) friends talking today about the fact that in a few years, white people will be the minority. They were terrified of this possibility, while my reaction was “So what?”. JULY 20, 2012 will perhaps be another day that will live in infamy in early 21st-century American history as everyone woke up to the startling reaction of yet another shooting incident—this time in a movie theater in a town called Aurora, Colorado. As I got out of bed that afternoon, my mom was shocked to see the news reports flash on the TV: “at least 12 dead and another 51 or so injured.” What was even worse after hearing the announcers utter those words was the life story surrounding the alleged gunman, 24-year-old James Holmes. In the past forty-eight hours, I have been following the stories—and the more I’ve uncovered, the more scary the situation gets. Turns out, Holmes graduated from what-could-have-been-my-alma-mater, the University of California at Riverside in the spring of 2010 with high honors with a B.S. degree in Neuroscience. Despite my family’s worries and pleas, I am planning to pursue a Neuroscience-related degree perhaps several years down the road as well, since I also love to study the mind, and currently have selected my primary major in Psychology at a local community college I now attend in my time away from Riverside. But my heart does sincerely go out to my Highlander family down there, as the nation now mourns for the families of the Aurora victims and as this recent tragedy now casts another spotlight on the rise in gun violence and firearm-related crimes. This meme portrays a white American male lying on his bed watching the primetime news broadcasts surrounded by what appears to be an arsenal of guns and ammo. A quick mouse scroll through the comments and I know the debate’s on between those individuals who support stricter gun control laws (such as myself) and those who claim such said laws will inhibit the rights of Americans to freely sport weapons, as established by the Second Amendment. Coming across a paragraph also quoted in the preamble of this column, I have to say I fully agree with what Mr. Roe here has to say. For many years now, I have absorbed and reflected on the values, beliefs and morals of what many figures have taught me growing up…and the older I am getting, I realize that I continue to lean to Left-wing political views, simply because I cannot agree with what is going on with the GOP and the Tea Party. Of course, I might as well apologize in advance if I may come across as being hateful of Republicans or something. I do not mean to directly insult or bash any individual who holds to conservative beliefs, for I should know better. 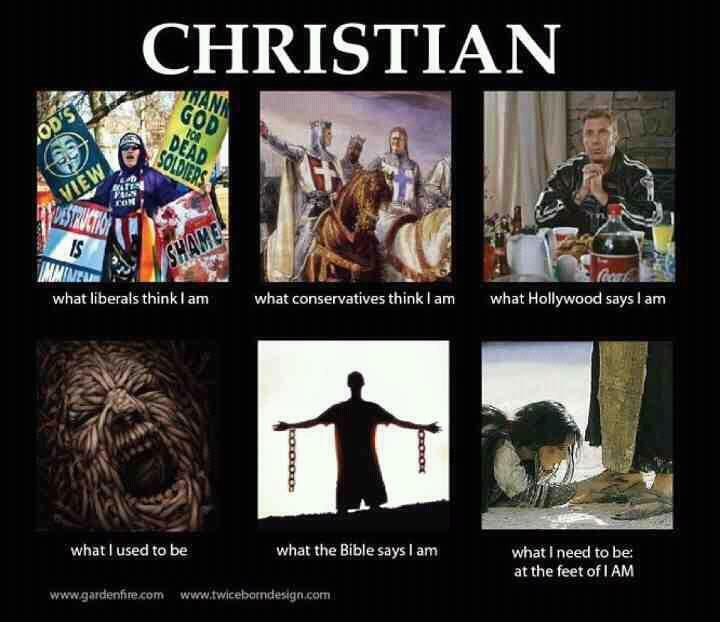 I was also spiritually raised as a conservative Christian believer from a young age. But nevertheless, that does not mean I should not be able to think for myself and to be able to express my opinions on the InterWebs either. And so, I do. I do express my heart, my mind and my soul—in every piece I compose and type. And I am glad my readers are able to see that part of me so genuinely as well. What if I told you REPUBLICAN doesn’t automatically mean CHRISTIAN, and just because you call some people BLIND doesn’t automatically give you vision? I mean, if religion is so great, why has it started so many wars? Why does it build huge churches but fails to feed the poor? Besides having a catchy, addicting rhyme to Jeff’s poem, I truly believe many non-Christians who troll on videos like these and intend to bash on them either to get a good laugh out of the whole ordeal for doing so or for merely getting attention—they just don’t understand the underlying message of his speech. But now that I know Jesus, I BOAST IN MY WEAKNESS. It’s a HOSPITAL FOR THE BROKEN. What really touched me personally was when Jeff proclaims, “I don’t have to hide my failure. I don’t have to hide my sin.” Something I’ve been doing for my whole life, I’ve often wondered. Like Severus Snape in the final Harry Potter movie, The Deathly Hallows Part Two, this theme of hidden shame and guilt does not just merely speak to me—it speaks to the whole wide world in its entirety. And most people perhaps don’t know no matter how objective we all have to be in the business sector—no matter how many times you have to don a suit and tie and act “professionally”—I for one do believe that there is subjectivity in whatever people discuss. And more importantly, that there is a tragic hero side in all of us. Pointing back to the Aurora shooting, perhaps most of us will simply remember the events being reported as the passing of grief—and for the families of the victims, an unfortunate deeply imprinted loss—but as the nation is again humbled in such a critical time, even President Obama is taking a stand to speak and share some of the pain, putting aside some of the heat he is still getting from the Right-wing and Romney’s campaigning. Politics or not, we must not live in fear as Daniel Roe writes. Although we are aware of societal harm and the possible mass hysteria that could arise because of our fears of the unknown, I too realize we as a people must continue to push on through. Persevering and achieving. And while the general public may not completely begin to comprehend the inner workings in the mind of Mr. Holmes and what motivated him to dye his hair red, wear full body armor and open-fire into a crowded and packed movie theater, one thing we do know: Out of every tragedy we emerge stronger than before. LAST YEAR, a bill was passed through the U.S. Senate recognizing and establishing an important milestone for disabled individuals—and aimed specifically at individuals living with the neurophysiological condition cerebral palsy. Now I will be honest here. I am well aware of the stereotypical images of paraplegics and the likes portrayed in mainstream media, and while it is true that these individuals may be intellectually slower than others and have more difficulty moving around, I am not here to openly criticize anyone with cerebral palsy. I should know. I have it too. I know what it feels like to be teased by other kids my age just because I live with this disability, but I also admit I’ve done it to others years ago too. And I apologize for all of that because I should and I do know how that feels. Moreover, living with cerebral palsy is no small or easy task, but—with patience, time and lots of physical therapy—CP is overcomeable. But allow me to elucidate on what the condition looks like for everybody who doesn’t know what it is. Cerebral palsy, according to medical sources, is “a disorder of movement, muscle tone or posture that is caused by injury or abnormal development in the immature brain, most often before birth.” In other words, it’s a condition that affects one’s muscles, making it harder to walk, sit, stand, run, jump etc; and it is also very true that it can develop shortly after birth and can be diagnosed within a few short years. I was diagnosed at three months, with a secondary diagnosis of spastic diplegia at three years. And even though I used to think I was the only one dealing with these issues, once I started searching, I gradually found millions of stories about millions of kids who all have what I have and that’s why I aim to be another avid cerebral palsy advocate. Earlier this month, my curiosity to find other CP stories peaked yet again, when—after stumbling through pages upon pages of Google search results—found one story from overseas in Fuyang, Anhui Province, China. As you will soon find out, the kid’s name is Yuan Weiwei, and man, just to see him walk around and smile reminded this 19-year-old veteran of his own childhood when he did the same. And the video almost brought me on the verge of crying tears of joy a few times because I soon realized, this is my story too. Almost. Part IV of this series was the hardest of the videos. It also turned out to be my favorite. The task immediately became a bit daunting when we found out our subject who we were meant to be profiling — couldn’t talk much. While Weiwei was not afraid of the camera, his speech and dialogue were not developed enough to get entire sentences out of him. He also was not the most mobile of our subjects. He had trouble getting around, which made our filming locations limited. However, even given these limitations the story developed in front of us into a rather heart warming story. The camera ended up turning to his mother to help drive the narrative, while Weiwei would maintain the visual story. After a couple different versions of the script, we finally settled on the version you see here. The story in itself is actually quite sad. However, the mother’s continued support and optimism is pretty inspiring. As tragic as it is to experience the hardships one disabled child has to go through and how much one family has to pull together to make it through, thankfully, it’s not all too bad once you get the hang of it. Trust me, I also have years of experience under my belt. And thankfully, I’m not alone either. In Oklahoma, I found another great cerebral palsy brother. Allow me to introduce David Fraser. Fraser was a premature baby born in a hospital without a single incubator. He was rushed to the nearest hospital equipped with an incubator immediately after he was born. During this 15-minute drive, the lack of oxygen in his brain caused permanent damage — mild cerebral palsy, a condition that alters a child’s physical development and motor skills. It’s been 26 years of prayer and faith — a lifetime filled with extra walking effort and extra attention. He still lacks answers, but he is certain of one thing. “I have to take the Word of God and filter it to a place where [my limitation] no longer becomes my identity, and He becomes my identity,” Fraser said. 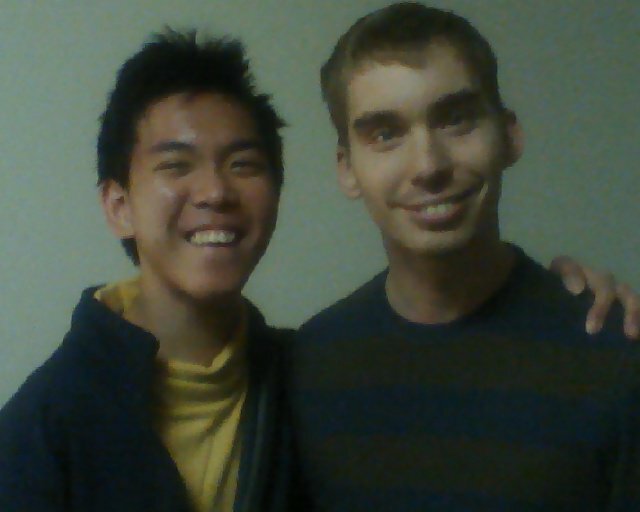 I met David back in March 2011 when I took a college orientation trip to Oral Roberts University in Tulsa, Oklahoma and having the chance to sit down and chat with David one late Friday evening was all it took for us to bond. Turns out, despite having cerebral palsy, he serves as one of the student chaplains on his floor and in his wing and yes, he does take the time to help out his able-bodied friends just as they do vice versa for him. He even offered to grab me a doughnut halfway through our nearly two-hour talk and prayer session, and I thanked him for that as well. Most importantly, I could tell we both got plenty off our chests detailing our life stories from premature births until the present day, and expressing the joys as well as the agonizing frustrations we similarly experienced despite growing up states apart from each other. 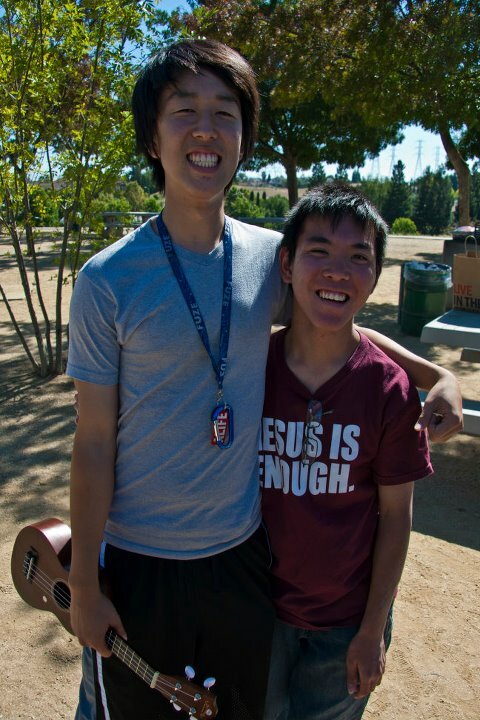 Shout out to John Chau too for introducing me to David in the first place. And so, I would like to take the time to send a message to all the people out there living with cerebral palsy: you are certainly not alone in your struggles. Never think you’re on a one-man journey. Because hey, take an honest look around. There are many others all going through what you’re going through right now too. And together, we can all overcome cerebral palsy and learn life lessons from it as well. Happy National Cerebral Palsy Awareness Day, and don’t forget to wear that green.